Welcome to the March issue of Cook Create Celebrate! In the fall, we were thrilled to be awarded both Outstanding Kitchenware Retailer of the Year and U.S. 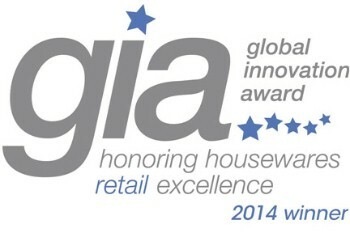 Global Innovator Awards by the International Housewares Association. We will be recognized at the International Home + Housewares Show March 8th and we invite you, our loyal customer, to join us for a champagne toast Wednesday, March 11th at Marcel's! Our retail team has had fun dreaming up our newest window display: Prepare the Sides of March! Swing by for a peek and take a look at some new cookbooks for fantastic seasonal side dish recipes. 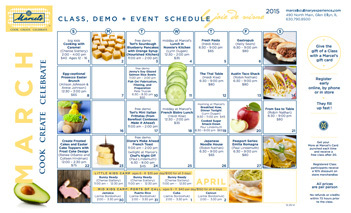 As always, we are spotlighting a sampling of our classes. Check them out to see if you would be able to squeeze one into your schedule! We are also turning the spotlight on retail associate Kelly Montgomery this month! It's National Poundcake Day and Tassie Tagarelli, creator of Miss Dottie's Pound Cake, is returning to Marcel's to sample her luscious creations. Join us between 11 and 2 to meet Tassie and sample. 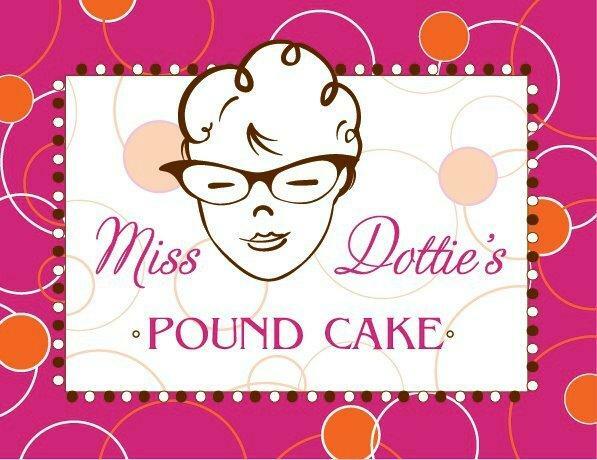 Miss Dottie's Poundcakes are made locally with all natural ingredients, and ship all over the globe. 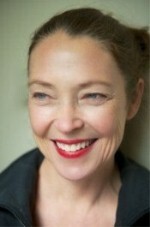 Eugenia Bone is a James Beard Award nominated author of five books, including her most recent, The Kitchen Ecosystem. 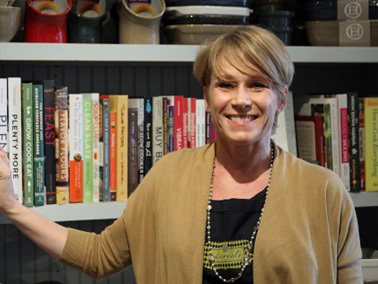 Eugenia is at Marcel's to present "Finding the Best Flavor in What you Usually Throw Away," teaching you how to approach cooking as a continuum, where each meal draws on elements from a previous one, providing the building blocks for another. Book signing will follow the demo. 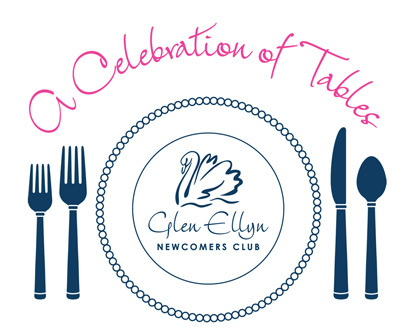 The Glen Ellyn Newcomers Club presents A Celebration of Tables at St. Mark's Episcopal Church at 393 N. Main Street. Enjoy a delightful morning touring a ballroom of uniquely themed tablescapes! Be inspired to entertain for your next celebration; stop by Marcel's after the event with your program to receive 20% off any one item in the store. Tickets are $15 prior to the event, $20 at the door, and can be purchased at Marcel's. Proceeds benefit the Glen Ellyn Food Pantry. Exceptional fabric, creative design, and meticulous detail are the trademarks of Janet Catlow's beautiful table linens. Perk up your spring table with pieces from her beautiful new collection that will be on display; designs range from classic to contemporary. Enjoy 20% off all Shine Handmade items during the show. Celebrating the recent awards for merchandising excellence, Jill and Dana are headed off to an even busier than usual few days at the International Home and Housewares show! Receptions, photo shoots, a coveted consultation with celebrated merchandiser Martin Pegler, and a special gala awards dinner honoring award recipients from around the world will keep Jill and Dana on their toes. Hopefully they can sneak in some time to scope out fabulous new finds to bring back to the store! 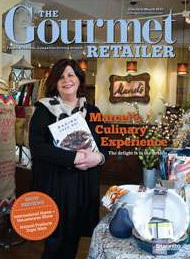 The Gourmet Retailer has featured Marcel's as their cover story and we are thrilled! Editor-in-Chief Anna Wolfe praises the team at Marcel's for compelling storytelling via thoughtful merchandise displays throughout the store. She delights in all of the details that make our store a culinary experience! 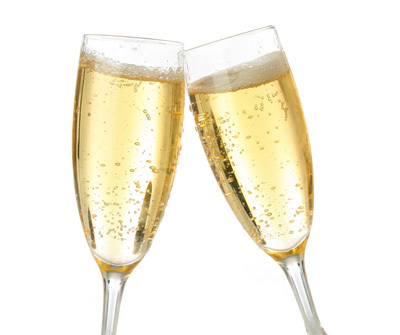 Please join us for a champagne toast and a bite of something sweet to celebrate our recent accomplishments! Kelly Montgomery, creative member of our retail team, has been with us since June 2013. June also marks 25 years with her husband Brock. Sons Egan and Max both attend Butler University in Indianapolis and daughter Lily is a freshman at Glenbard West. Chicagoland has been home for 18 years but beforehand they moved frequently, calling Maryland, New Jersey, Connecticut and Kelly's native Pennsylvania home. If you admire our window displays and tablescapes, they have very likely been enhanced by Kelly's artistic eye and attention to detail. Kelly is an avid reader, loves to knit, and is happiest in the company of animals. She would eventually love to live on a waterfront farm teeming with dogs, goats and an Aflac duck! 3 Items Always in Fridge: Salsa, a selection of IPAs, and something that should probably be thrown out! Favorite Aspect of Working at Marcel's: Expressing my creativity with windows, displays and tablescapes. It’s very upbeat and high energy; there is always something new going on! Wouldn't it be nice if you started your day with more than a to-go coffee cup and whatever was leftover in your kid's cereal bowl? Today is that day! Lynn is serving you a delicious breakfast now and demonstrating step-by-step dinner for tonight. Along with the recipe and the new-found-know-how, you'll receive a "dinner starter kit" to use as the foundation to your meal. With the addition of a couple other on-hand items, dinner's in the Marcel's bag! Renee DiSanto, owner of Frost Cake Design is here to share her talents to help you create a stunning cake top to use for Easter or your next celebrated event. Even better, No experience necessary! After a brief demo for each step, Renee will guide you through the process to create the topper and decorate your cake like a professional. Both the cake and the topper will go home with you. 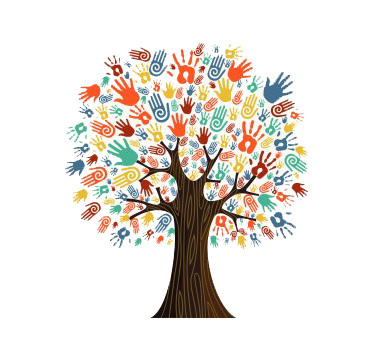 Tuesday, Mar 3rd: Floral Symphony supporting Glenbard South and West music programs. Saturday, Mar 21st: Spring Fling to benefit Wheaton's Longfellow Elementary School. Cook, Create and Celebrate at Marcel's! Let us help you plan an exquisite event: company parties, family get-togethers and girl's night out are all fabulous ways to experience the magic of the Marcel's kitchen. Contact us today and we will start crafting the menu, libations and special touches to make the event uniquely yours. Beautiful"gifts to go" all pre-wrapped and perfect for every gift giving occasion! You are receiving this email because you provided your email address to Marcel's and Marché.